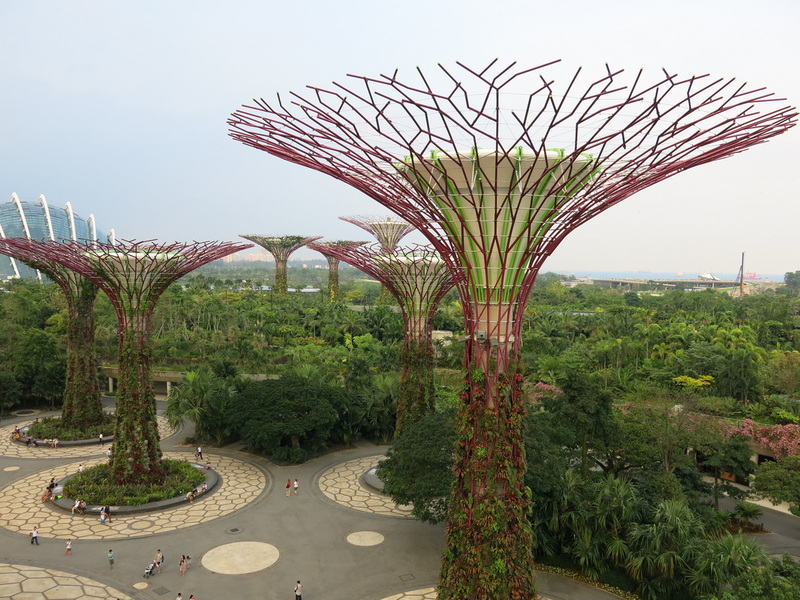 Singapore's modern garden complex on the back side of the Marina Bay Sands hotel. 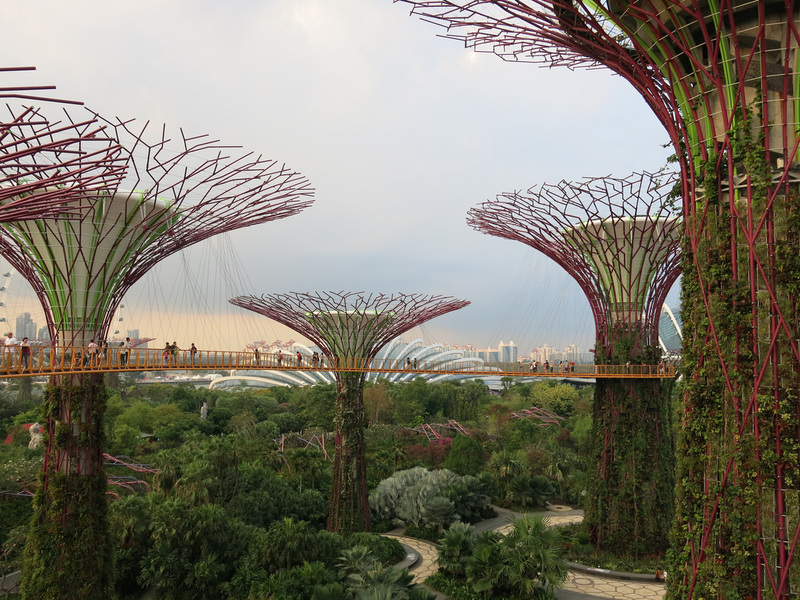 The gardens are accessible from the hotel and the Bayfront MTR station. Access is free, however, admission is charged for a few of the attraction areas. The Skywalk is only $5 SGD. Tickets to the Cloud Forest and the Flower Dome was $28 SGD, a bit to pricy for someone not into flowers.